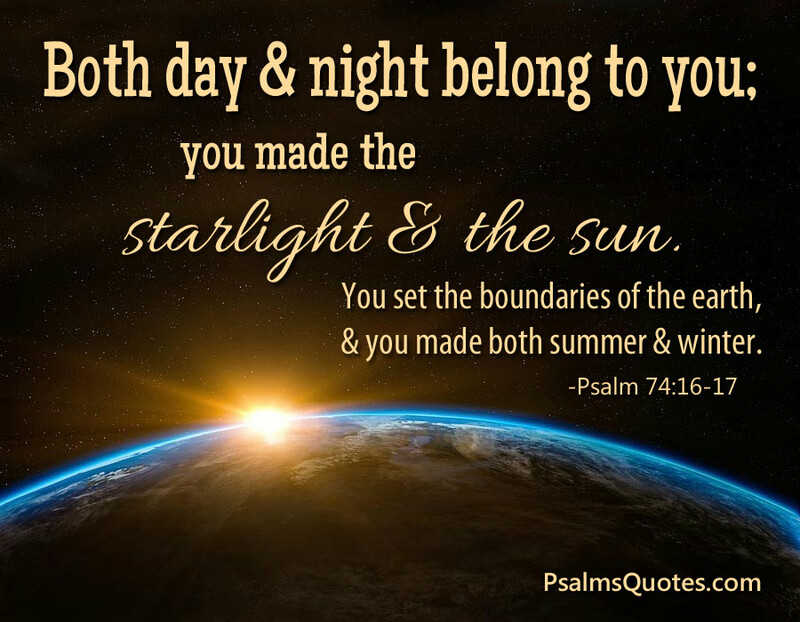 Both day and night belong to you; you made the starlight and the sun. You set the boundaries of the earth, and you made both summer and winter. The day is thine, the night also is thine: thou hast prepared the light and the sun. Thou hast set all the borders of the earth: thou hast made summer and winter. The day is yours, and yours also the night; you established the sun and moon. It was you who set all the boundaries of the earth; you made both summer and winter. The day is Yours, the night also is Yours; You have prepared the light and the sun. You have set all the borders of the earth; You have made summer and winter. Yours the day and yours the night too; you set the moon and sun in place. You fixed all the limits of the earth; summer and winter you made. The day is Yours, also the night; You established the moon and the sun. You set all the boundaries of the earth; You made summer and winter.